The DEM catalogue is a catalogue of 357 nebulae in the LMC and 167 nebulae in the SMC that was published in 1976 by R.D. Davies, K.H. Elliot and J. Meaburn. 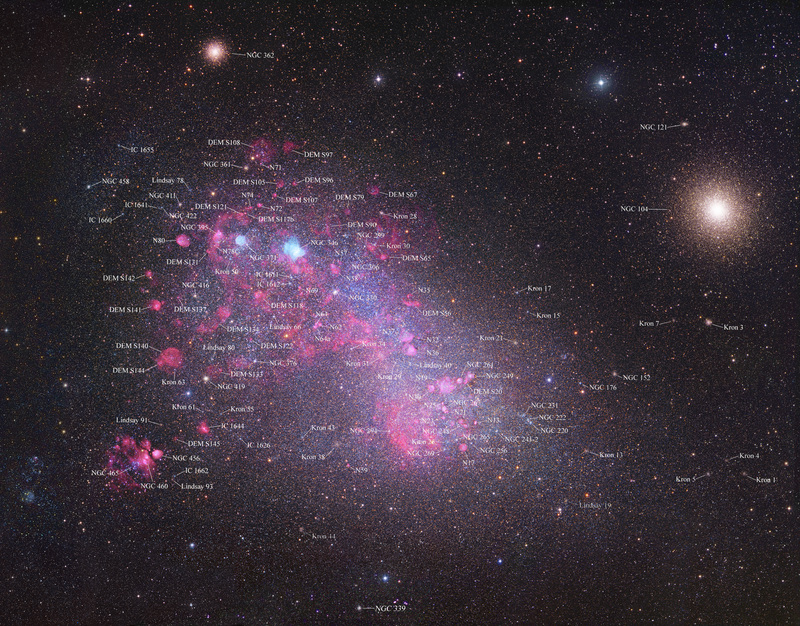 The LMC catalogue is DEM L and the SMC catalogue is DEM S.
The Kron catalogue is a catalogue of 69 star clusters in the SMC that was published in 1956 by Gerald Kron. The Lindsay catalogue is a catalogue of 116 clusters in the SMC that was published in 1958 by E.M. Lindsay.